My Question is whether it is appropriate to go for the cyclic spline here as it improves the residual structure, even though overall model fit is worse. The fast answer is NO, you should not use periodic splines. In a way you are trying to fix a secondary problem (heteroskedasticity) by unfixing the primary problem, to get the predictions right. 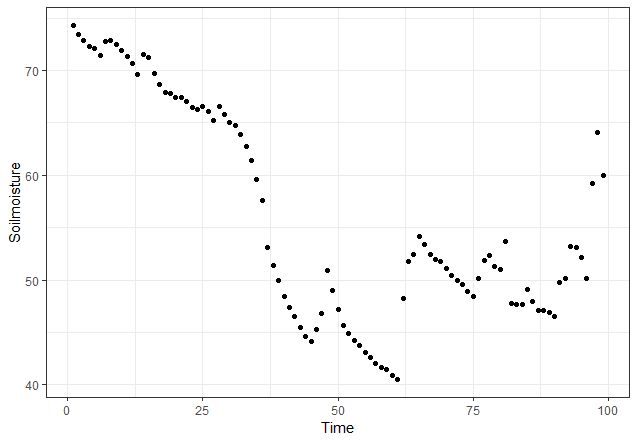 Some more details: Your first plot shows lower variance in the early summer part of the plot, higher variance for later summer. In this case, that is lower variance goes with generally higher values. Transformations are mostly used for the opposite pattern, so are probably not of much use here. In addition, they will complicate the modeling, so stay away from transformations. Not the answer you're looking for? Browse other questions tagged regression residuals gam splines diagnostic or ask your own question. 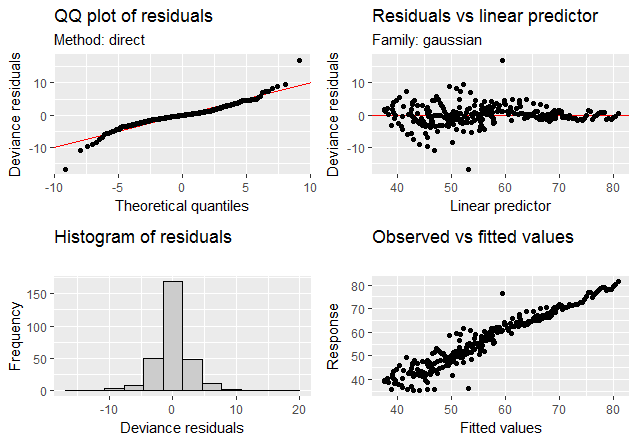 How to calculate the robust standard error of predicted y from a linear regression model in R? 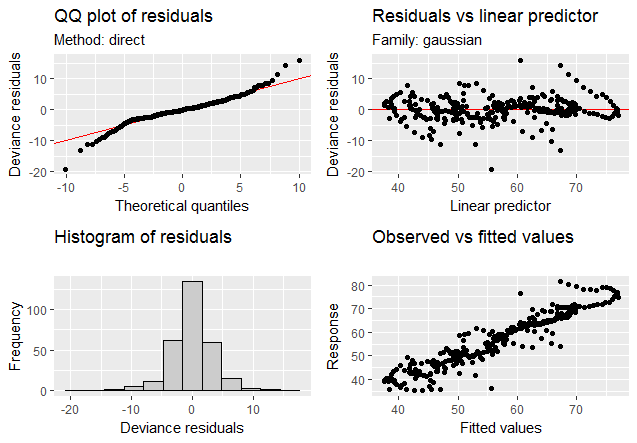 Do autocorrelated residual patterns remain even in models with appropriate correlation structures, & how to select the best models? How to account for patterns in GAMM residuals due to the addition of an offset?